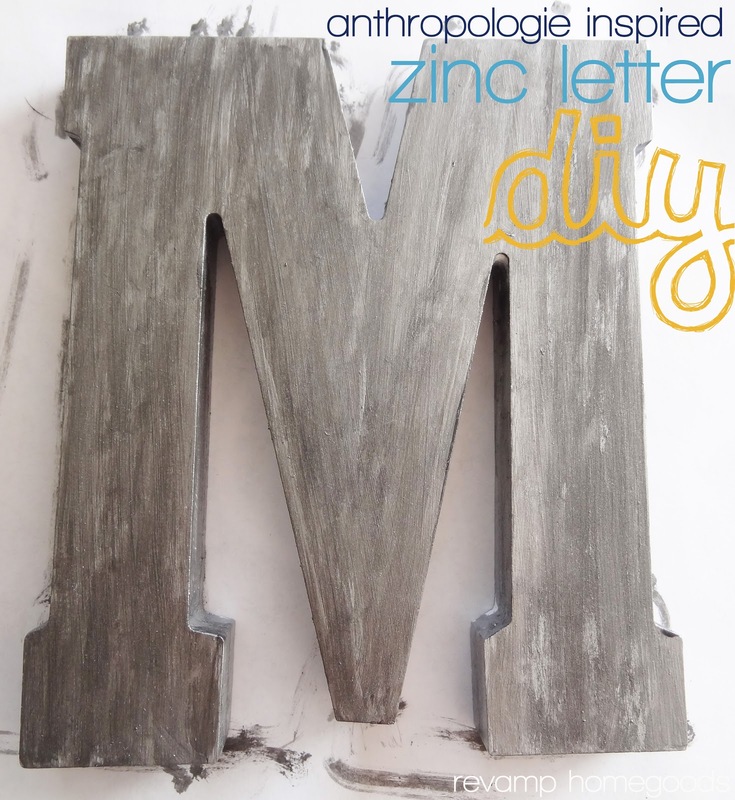 Remember when I picked up an Anthropologie zinc letter J from a local thrift store? I hung it on Josh's side of the bed and kept my fingers crossed that I'd score a letter M for my side because I sure as heck wasn't going to pay $18 at Anthropologie. 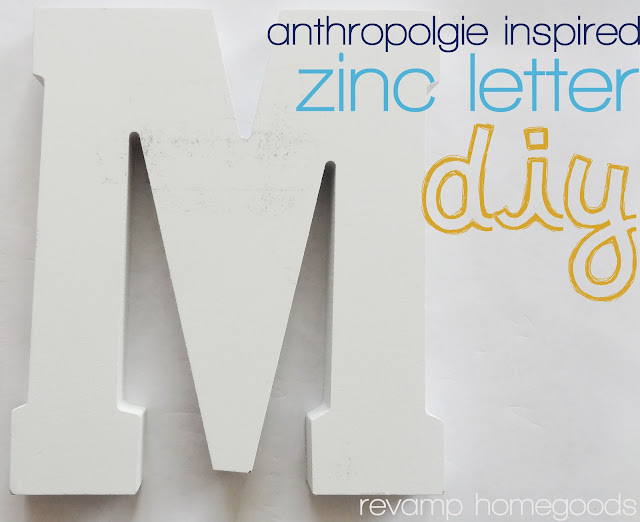 Instead of just sitting around wishing and praying for a deal, I thought I'd take fate in my own hands and make an inexpensive and simple copycat version of the beautiful zinc letters. metallic silver craft paint at my local craft store. 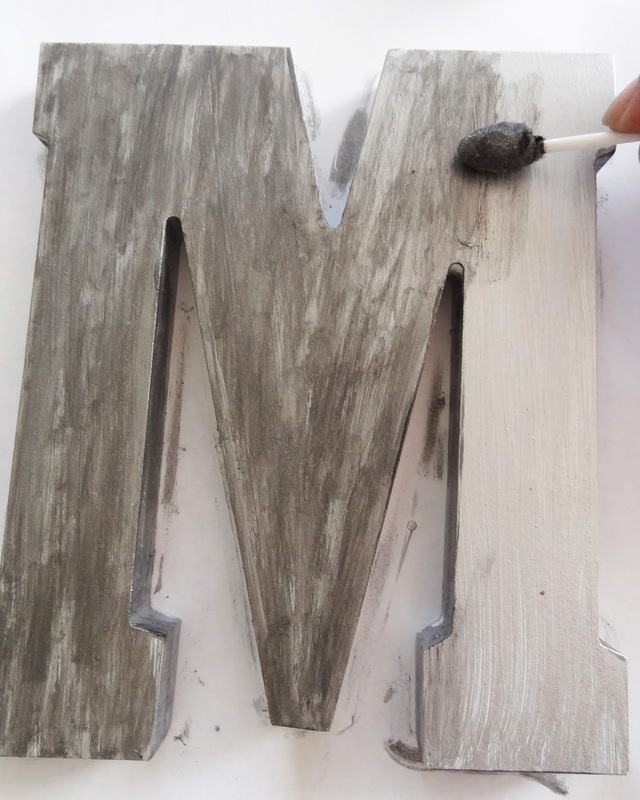 I painted one coat of the silver on the front, back and sides of the letter. After the paint dried, I attached a picture frame hanger to the back. The letter turned out looking quite similar to the original version and it is the perfect complement to my side of the bed. 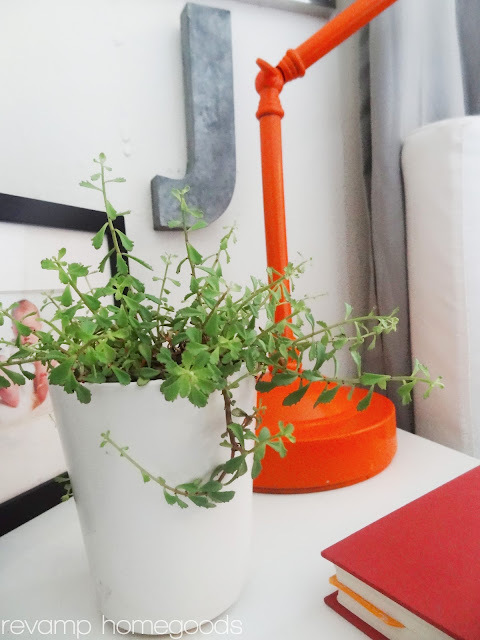 My own little reminder for Mr. Bed Hog to keep all those wayward limbs on his half. 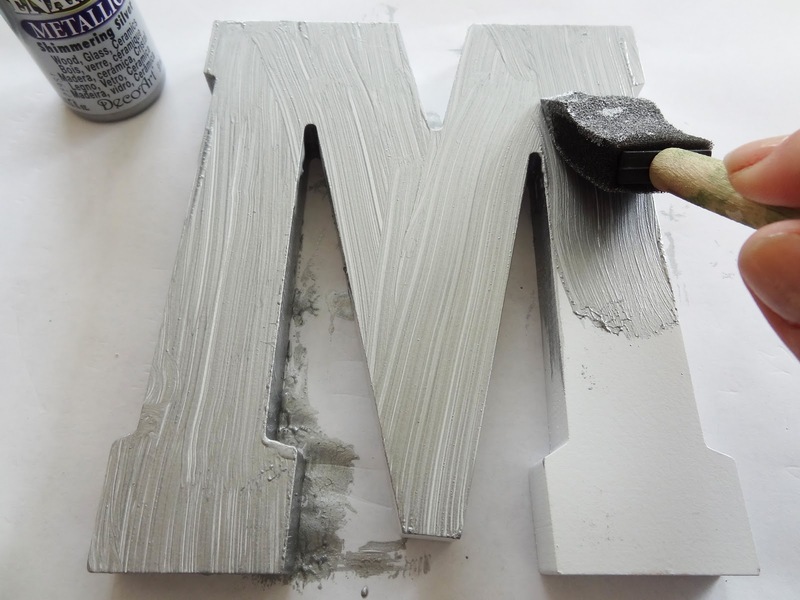 This same technique could be used on even more inexpensive craft letters or you could make your own cardboard letter altogether. So what about you guys? 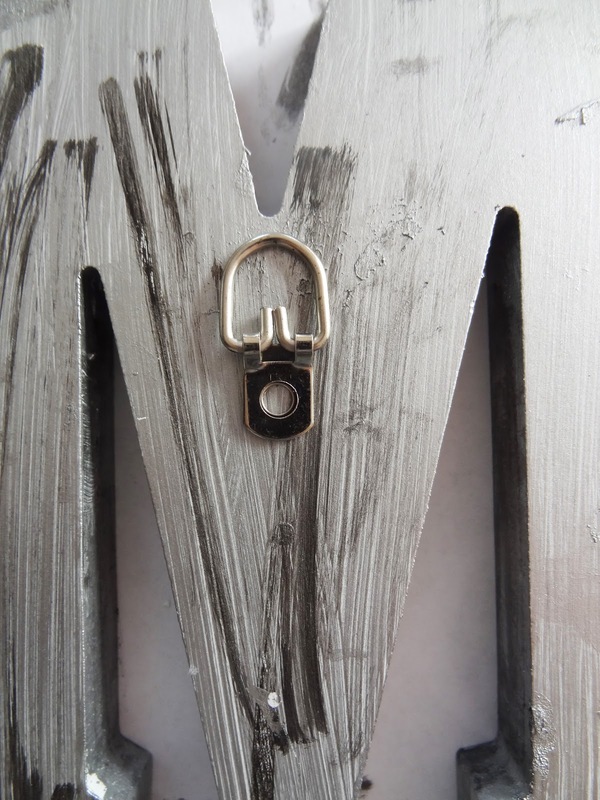 Have you made any knockoffs lately? 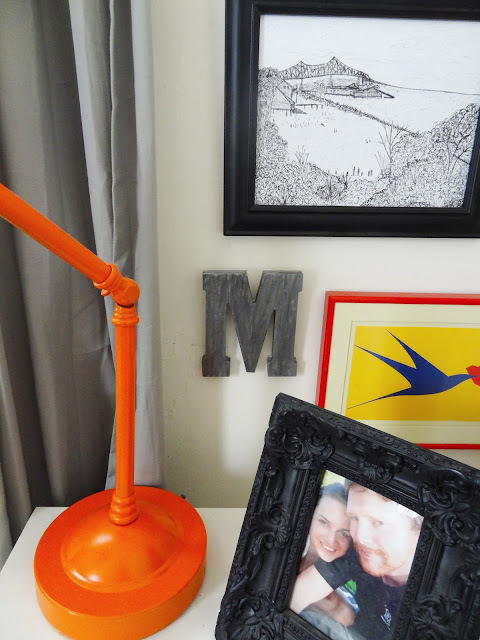 On the letter decor bandwagon or are you so over that trend?